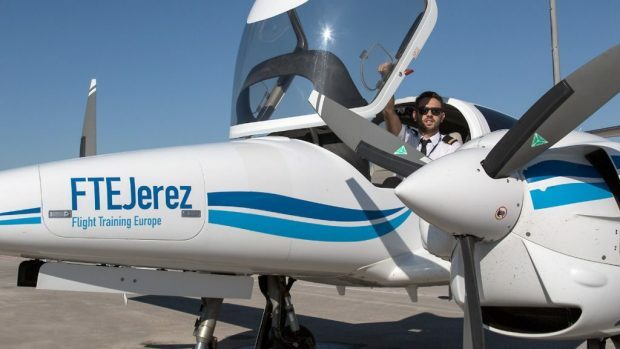 Due to company expansion, FTEJerez has taken delivery of another twin-engined Diamond DA-42 aircraft. The new addition to FTE’s multi-engine fleet increases the Diamond on campus to 6 aircraft. All the aircraft are equipped with the Garmin G1000 glass cockpit, including the GFC700 automatic flight control system and the Austro diesel engine. The modern four-seater DA-42 twin engine aircraft will improve FTE’s operational capacity which will help to deliver training to the academy’s future intake of both self-sponsored and airline partner cadets.